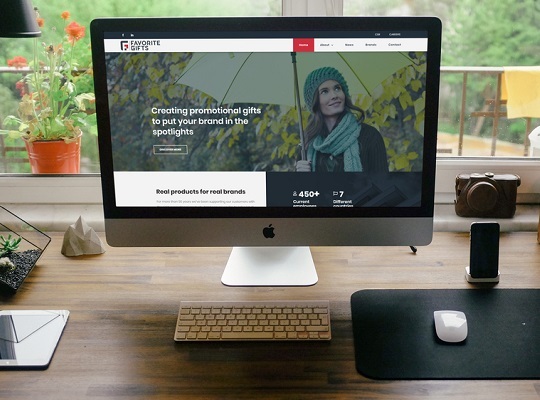 Favorite Gifts has launched a brand new website. In recent years the company has grown a lot and expanded its activities at a national and international level. The group, consisting of multiple promotional gifts sellers, is now a large international employer and supplier. To tell our story, we launched our new corporate and careers website. Our company was founded over 50 years ago, in 1965. It started out as Van Helden Relatiegeschenken, but over the years multiple companies joined the group and we decided to change the company name to Favorite Gifts. Now we’re an international company with branches in seven different countries and more than 450 people are employed at Favorite Gifts. As an international company we want to tell our story, inspire potential colleagues and inform suppliers and customers. That’s why we’ve launched our new website. The corporate website includes a separate careers part for potential employees. Our new website provides stakeholders with ample information about our company, including our history, board of directors and our numbers. On the careers part of the website potential employees will find information about working for our company and outstanding vacancies at Favorite Gifts. The design of the website is based on the new brand style of Favorite Gifts, that’s meant to make us stand out as a brand to our stakeholders. We will keep on updating the website and providing visitors with the latest information about Favorite Gifts and its brands.